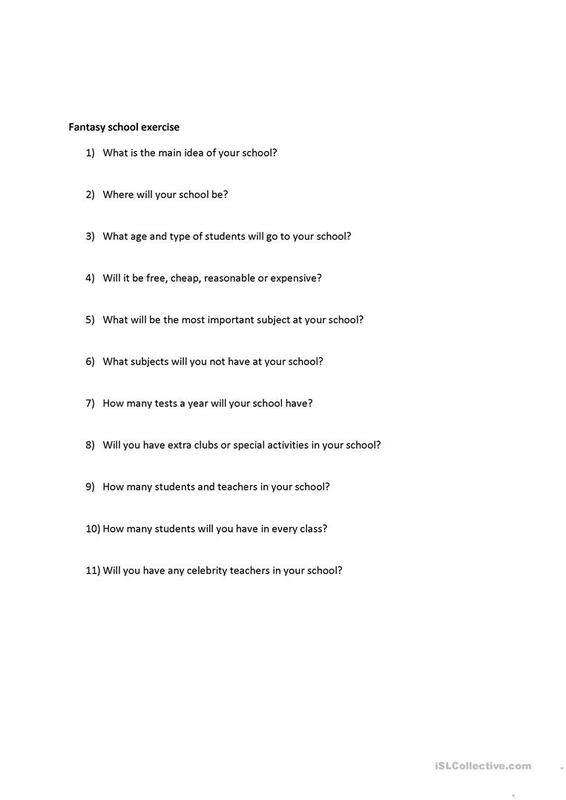 A 2 page small group project where students have to plan, design and present a dream school. The present printable, downloadable handout is recommended for business/professional students, high school students, elementary school students and adults at Pre-intermediate (A2), Intermediate (B1), Upper-intermediate (B2) and Advanced (C1) level. It features the theme of School.